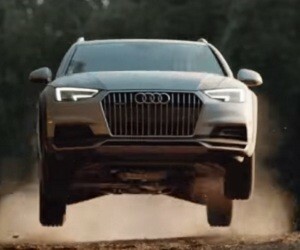 Audi A4 Allroad presents Sunday Drive in their latest commercial, released with the slogan “A little dirt never hurt”. The spot features a couple on their Audi A4 Allroad, performing their Sunday morning routine with a twist. Once they get a cup of coffee, they begin a wild adventure, with high-speed stunt driving in Allroad USA. When they are about to go out from the Allroad area, the man turns around and comes back for another ride.